Last night, the President spoke to the Democratic National Convention about those characteristics that define what it means to be a citizen. It is a word that gets used quite a bit. But, like freedom, love, and beauty, it is a quality that can not be physically embraced, but exists entirely independently in our hearts and minds. U.S. citizenship is not based upon ethnic origin, religion, political opinion, gender, sexual orientation, or any other characteristic. It is based upon the acceptance of a certain set of ideas, ideas that have resonated for nearly three centuries and have attracted millions of people to our shores. We spend a lot of time at Benach Ragland on citizenship. There are few things that give me as much pride as helping someone obtain citizenship. There are lots of very good practical reasons why someone can want citizenship. You can bring over certain family members more easily, you can travel outside the country for longer periods of time without fearing loss of your status, you can vote, run for certain offices, obtain certain federal jobs, and you can pay lower taxes in some circumstances. These are just a few of the benefits one gets by obtaining citizenship. Yet, invariably, when I ask people why they want to be citizens, they never mention any of those things. They state that this is their home, their country, and they want to feel closer. They want to dive deeper into our community. Often, they can’t express it so easily. They are trying to explain an idea or a feeling and words are always more difficult for those abstract concepts. I have seen people fight extraordinarily hard for their citizenship. It is easy to understand why someone would fight for residence or against removal. When the choice is between staying here or being returned to their home country, they will fight to remain. But, in most citizenship cases, the fight is whether a person will remain a resident or become a citizen. If the person loses, she is still a resident and the status quo is unchanged. Yet, people will fight hard for the right to be citizens. I believe that people fight so hard because they believe in it so deeply. This is not about tax benefits or travel documents, but a sense of identity. They feel American and want citizenship to validate that feeling to show that they are a part of a community. Take our client Jamal Abusamhadameh, who had to go to federal court to get citizenship. He had a four year fight for citizenship, during which the government accused him of all manner of terribleness. It took a federal judge 90 pages to dismantle all of the government’s disinformation and reach that most obvious of findings- that Mr. Abusamhadameh possessed the good moral character to obtain citizenship. The case caused Mr. Abusamhadameh enormous stress and plenty of money, but he persevered because he wanted to be a part of this community and was willing to fight for it. I have a stash of greeting cards that were produced by the American Immigration Council. 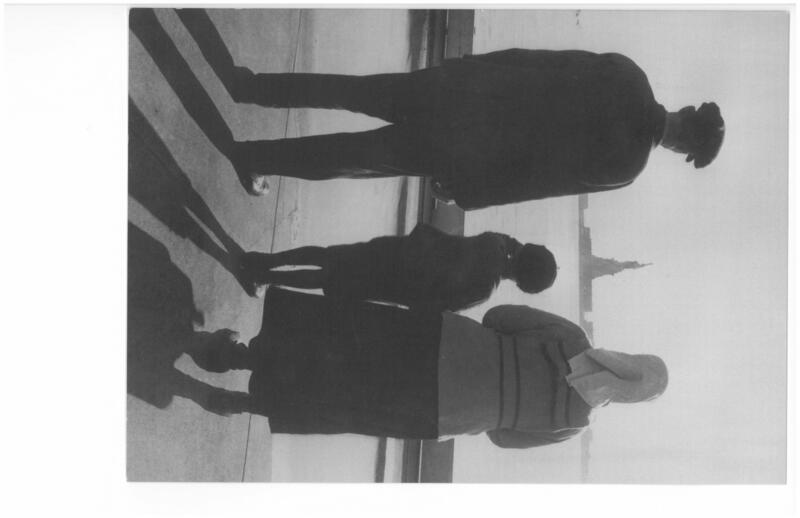 They have a black and white picture of an immigrant family looking at the Statue of Liberty. When a client obtains citizenship, I write a handwritten note on those cards congratulating them and reminding them what they told me months ago about why they wanted to be a citizen. I don’t send these cards routinely for any other cases. It just seems that citizenship is different. This same commitment to an idea drives the DREAMers. The DREAMers, while not seeking citizenship today, feel American. They want to be a part of our community. Despite the odds, they have flourished and want nothing more than a chance to go to college, have a meaningful career, join the military and be a part of our economic, cultural and social fabric. To me, he was talking about immigrants- those who took the risk to leave behind their old country and risked everything for a chance to fulfill their potential and to join a community of others who believe in the virtues of American life and government. In a word, he was talking about those who dare to dream that they, too, can be citizens.